Known in the U.S. as Doctors Without Borders (DWB) and worldwide as Médecins Sans Fron- tières (MSF), DWB/MSF is an international medical humanitarian organization that provides aid in nearly 70 countries to people whose survival is threatened, providing medical aid to those most in need. 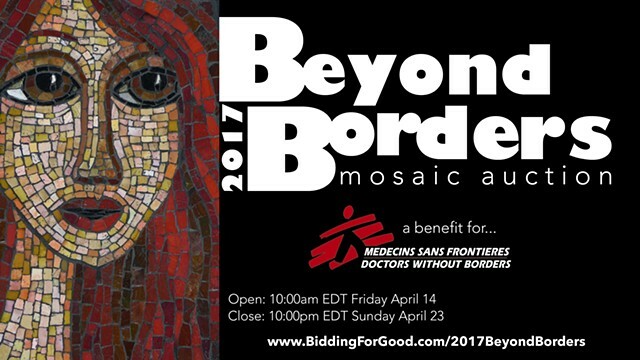 This auction collection of over 100 mosaic artworks from artists representing 10 countries is an example of the diverse creativity in this trending art form. Some artists use classic materials that date back to the origins of mosaic, while others take full advantage of the limitless tesserae choices available today. 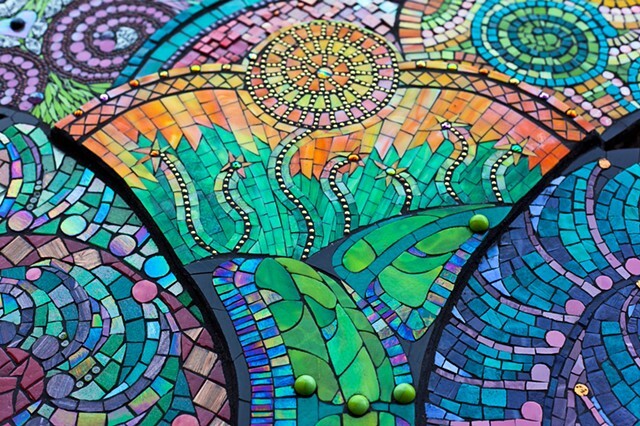 My design for “Unfurled” was fabricated in collaboration with Ciel Gallery and 55 mosaic artists from across the US, Canada, France, Germany, Turkey, and Australia. in the Southend Art & Design District in Charlotte, North Carolina, on the exterior of Ciel Gallery: 128 E. Park Avenue.